Fans of Veronica Roth, Suzanne Collins, Cassandra Clare, and James Dashner will love this young adult paranormal romance series by Aaron Patterson and Chris White. NEW YORK TIMES and USA TODAY Bestselling thriller writer Aaron Patterson, teams up with Chris White, in the second edition in the Airel saga! If you like young adult paranormal romance or young adult fantasy, you will love the Airel saga! Airel. Michael's one true love. He had forced her to drink in new life only to find that old wounds and deep scars do not heal overnight. Can she truly forgive Michael, can she truly love him? And can he accept that forgiveness? Or is it all for nothing, and has he gone too far already? As the darkness of past choices closes in on them, chases them, intercepts them, coming at them from everywhere at once, how can their love possibly survive? Michael:The Curse, book 3 of the Airel saga. 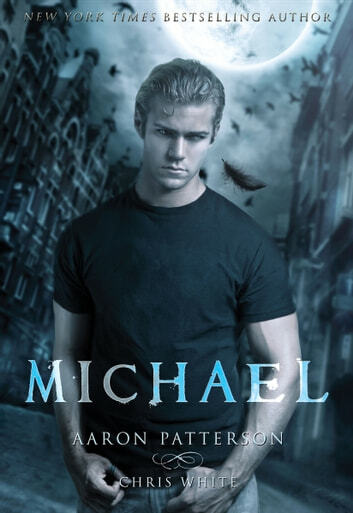 Aaron Patterson is the New York Times and USA Today bestselling author of the thrilling hard-boiled Mark Appleton series, (1)SWEET DREAMS, (2)DREAM ON and (3)IN YOUR DREAMS and the Sarah Steele Series, BREAKING STEELE and TWISTING STEELE.